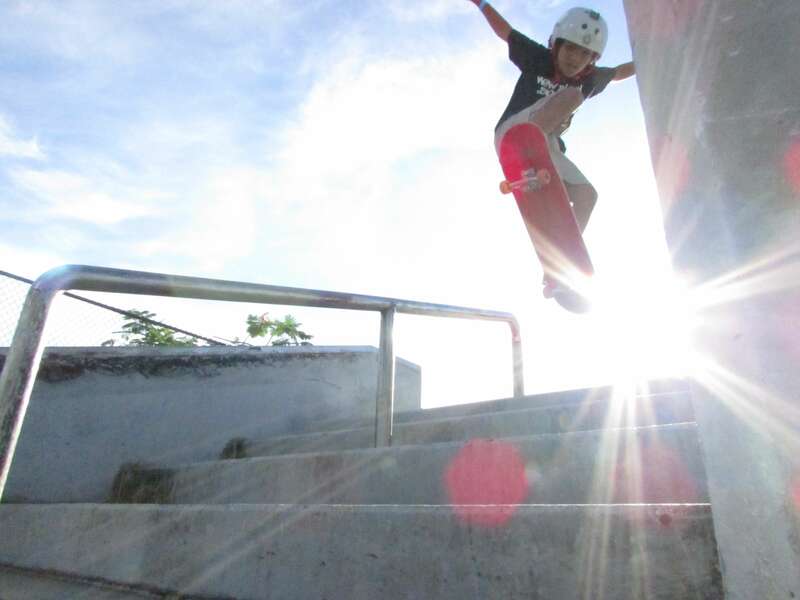 Jose Castillo, our youngest skater, has been skateboarding since he was 3 years old. He did his 1st ollie when he was 4 years old. He’s not scared of ramps or bigger skaters. He skates with the big guys at skateparks all over Miami. Jose’s 3 best tricks are Big Spin, Varial, and Fakie Varial. I won 1st Place in a S.K.A.T.E. Competition against guys bigger than me. See info. I could Kickflip at age 6; see video on this page. I could Ollie perfectly at age 5. See pix.